Net Weight : 19g, contained 30 sticks. Shaheizy Sam is being ambassador for this brand. For those who do not know him you can see his face all over any Nescafe associated websites in Malaysia. He is quite a popular actor and singer. Have you heard his song " Bangun ". That is the best song for the year 2014 according to me. It really raise one spirit up if you hear it on morning. You should hear it sometime if you had a bad day or monday blues. 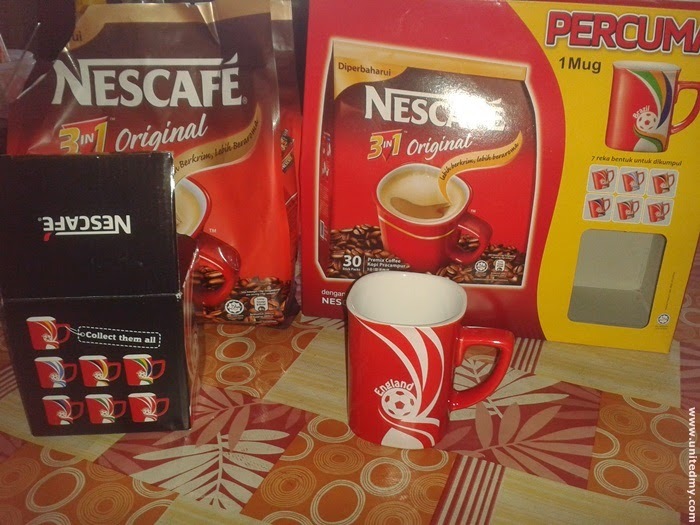 This is the best time for you to replenish Nestle Nescafe in your home because Nestle is being nice and generous giving out a small red cup with country in line with the ongoing football fever. I like England soccer squad despite that they had not qualified for quarter finals in FIFA World Cup 2014. Since the world cup have been won by Germany, I believe many would choose Germany imprinted Nescafe cup. You might need to find harder because you are not the only person finding it. Coffee is your buddy in the morning that is a very true. It is not only cure sleepiness but it contains anti-oxidant. Yes, the substances in coffee contained anti-oxidant. You could see for yourself at the back of the package. At the back, it written that every cup you drink contained anti-oxidant. I believe most of you do not notice them. It seem like RM13.00 for 30 sticks Nestle Nescafe is pretty reasonable. Just for your information, they had not raised the price tag due to giving out a free cup which we know some product they said it was free but price has been marked up. 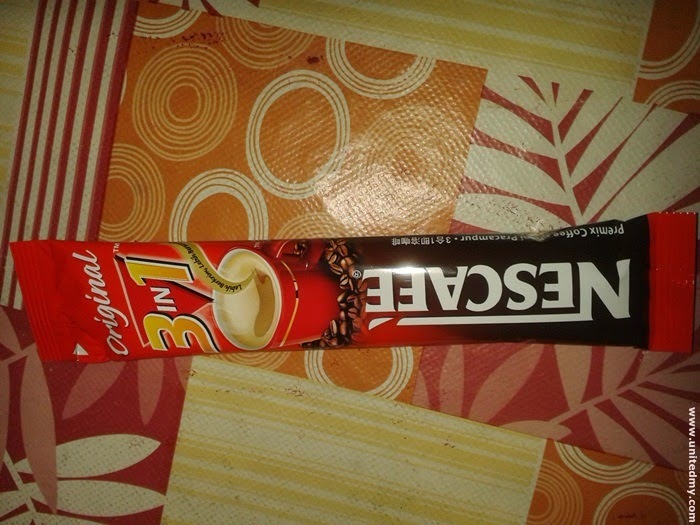 Nescafe Malaysia never said whether this is limited edition but I assumed the stock is scarce. Do not waste any of your time now as soon as you finish reading this go and grab one. Do not be selfish share this out to your friends as well !! A honest review on them the only thing need to be concern when drinking a cup of Nescafe will be the carbohydrate inside them. It has 15.2g carbohydrate higher than a raw burger. Well, it seem to have more advantages enough to cover the bad things away. It certainly light up your day with wide smile on your face. It a mood booster ! !